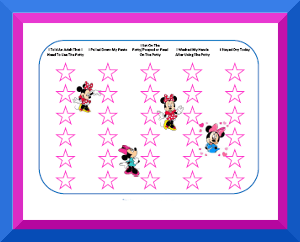 Potty Training Charts! Potty training charts can be a great way to help motivate your toddler during potty training. We have Potty Training Charts with some of your favorite characters here and Potty Training Charts without your favorite characters. If you need a theme that you don't see here, please drop us a line. We'd be happy to help. And we have a great article on Using Potty Training Charts as well as other great articles on potty training.